We live in interesting times. Over the years, several Indian airlines' liveries have slipped into oblivion. From low-fare pioneer Air Deccan in both its avatars (low cost and regional) to Kingfisher, Sahara, Damania, ModiLuft, NEPC and more. And now, it is Jet Airways which is coming close to a grinding halt the second time around. Back in 2013, when they had a financial crunch, the Middle East carriers were on a high note, and FDI in Indian aviation was enabled at right about the time when Jet Airways needed the fund infusion. For Jet Airways, in their Silver Jubilee year, the airline is battling with what is their biggest existential crisis at the moment. What started about six months ago as a default on paying salaries to employees has now translated into a full-blown crisis which continues to throw new surprises every day for all the stakeholders, including employees, customers and other. Almost half the airline’s fleet is grounded, customers find out about flight cancellations last minute, and the airline is not able to do much for them. Naresh Goyal’s word was taken seriously for the first few months till it was not an issue that was connected to the lenders. The airline was still flying, albeit with hiccups. But now, he is unable to keep his word on the timeline of resolution for this situation. For instance, he assured employees that by 18 March the situation would ease up. On 18 March, he extended the deadline sine die, stating it was taking time to make things work. At the heart of the salvage of the airline is the continued desire of the airline’s current promoter, Naresh Goyal, to hold on to the airline in some capacity or another. I empathized with him last year, after all, Jet Airways is all he has to show for his life’s work. But now, it looks more and more like his personal ambition is holding the airline back from resurrection. He is playing hardball, but so is everyone else. And then when he had almost lost it all, he came around with an offer to invest Rs 750 crores in the airline to hold on to the promoter status. Where do the customers stand? Customers had given up every little perk they enjoyed on the airline in the name of transformation. Last October, many customers got the shock of their life when they arrived at Mumbai airport only to be turned away from the lounge because GVK stopped accepting Jet Airways customers. Lounge access was eventually withdrawn for frequent flyers in Economy class across the world. Cancellation fees went up, meals went from hot meal to everyone to a cold sandwich to a select few. Everyone else had to buy on board. Passenger Experience took a beating, but customers were still supporting the airline because the schedules were reliable, and the airline had corporate contracts. The pull of the JetPrivilege programme still worked, and customers were minting JPMiles and thinking of this as a blip in their long association with the airline. Circa November, it was a good time for Goyal to negotiate a deal with the Tatas, take their payday and head home. The brand was still alive, the affinity for the brand was still alive and the problem was of a smaller magnitude than today. The airline did need a cash infusion, but the payoff with injecting that one billion dollars then to pay off the debt then was much higher. But for the aspirations of Goyal to retain a seat on the table. The Tatas did not want him around, so negotiations went cold between the two sides. In December, the airline started to implement a focused hub strategy, where they withdrew a lot of direct flights from the rest of the country and started to fly customers via Mumbai and Delhi. This did not go very well for customers, who were now getting edgy because it meant flights were going to take longer to get where they had to go. 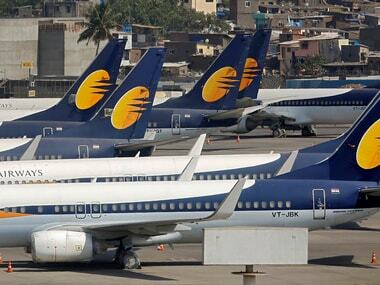 Now, by our counts at LiveFromALounge.com, Jet Airways has approximately 61 aircraft of their 119 aircraft on the ground at various airports across the country. These aircraft have been grounded at the demand of the lessors, who have asked Jet Airways to stop operating them till they can’t make up for the lease rentals for the past few months. This continuous grounding of aircraft has led to a capacity reduction for the airline, and also a market share reduction from 14.9 percent in December 2018 to 11.9 percent in January 2019. But most of all, there is no schedule integrity for the airline. Once a lessor serves notice, the airline has to ground those aircraft and then they cancel flights for operational reasons last minute. For instance, on 19 March, they have cancelled 67 out of their 106 scheduled flights from Delhi. Many passengers find out about these cancellations the night before they fly, or at the airport itself. Given Jet Airways’ tottering financial condition, other airlines such as Air India and Vistara have stopped accommodating Jet Airways’ displaced passengers on their flights, for the fear that Jet Airways may not be able to pay them later. Jet Airways offers its passengers nothing more than a full refund, which sometimes takes a long time to arrive. It leaves passengers with no option but to book on another carrier at last minute fares. With reduced capacity in the market, airlines have started to raise fares in the T/T-1 bracket (spot fares). For instance, last year, about the same time, you could buy a Mumbai – Delhi next day ticket for Rs 3,500 in economy class, which should have never been the case, given this is traditionally the business travel bracket, and tickets bought which are expensed to the company. Certain no-frill carriers started the trend, so everyone else had no choice but to join in given the fickle Indian passenger largely chooses on price. As a result, most people stopped booking ahead and started to bank on last minute tickets. The same passengers are now finding fault with airlines due to stronger last-minute fares, and DGCA is apparently taking the airlines to task in meetings, trying to understand why last-minute fares are high. In my personal view, fares are back to normal and the low fares were an aberration, which caused bleeding balance sheets across airlines including IndiGo, Jet Airways and everyone else. Jet Airways has withdrawn from the north-east, Kerala, many sectors in the middle-east and many other airports altogether. They have downgauged flights on marquee sectors such as operations to Singapore and Dubai from Mumbai and Delhi to the 737 narrowbody where competition such as Singapore Airlines and Emirates flies the A380s and other widebody aircraft. But Jet Airways still has takers, even at these high fares, given their planes are still flying full, packed to the brim in Economy class. Spot fares on the airline are being frequently sold at Rs 9000 upwards for an economy class on the Mumbai – Delhi sector. Because when you got to go, you got to go, and almost all airlines are running full flights these days. January loads across airlines were over 80 percent across the board. However, passengers have now started to book away from the airline, given the schedule integrity is compromised and the airline does not have a backup plan in place. With one sweep on 17 March, they cancelled all flights from Abu Dhabi overnight and nixed half their flights to Dubai. That left customers scrambling, and even the staunchest of Jet Airways customers are now wondering if the airline will be around by the time it is their turn to fly the airline next. When the airline stabilizes, however, I don’t expect it to retain the privileges extended to their frequent flyers for the time being. That means a couple of USPs such as hot meals and lounges are gone. Where do the banks stand? The default of the lender loans, which were due at the end of December 2018, has kicked off a chain of events that are forcing the hand of everyone. Banks, shy lenders after their debacles with Kingfisher airlines, did not want to lend more to a business that they did not understand. They have now agreed to turn their loans into shares, hence becoming a part owner of the airline, only for Re. 1. But the airline does not just need its past dues recused temporarily. It also needs money for future operations. According to various reports, the airline is incurring about Rs 10 crores per day as operational costs, and Etihad is dragging its feet on making an investment in the airline. Per various media reports, Etihad has been given an ultimatum about bringing their investment on the table or exiting the airline so that the (perhaps) someone else can invest. Qatar Airways, which has been potentially looking to start an airline in India, categorically stated that they won’t invest in Jet Airways given an “adversary” had invested in the airline. On the other hand, the National Investment and Infrastructure Fund, which was supposed to invest in Jet Airways, has not even started due diligence, as per media reports. So, where does it leave the banks? 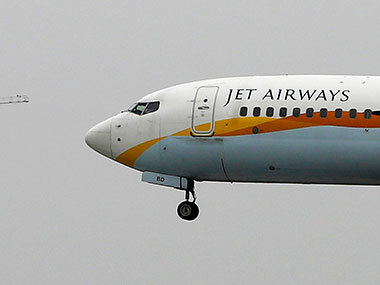 If Jet Airways is not able to get new funds soon, they would have continued to shrink, and there are only a few aircraft owned by Jet Airways which can be sold to recuperate about $800 million of the amount owed to the banks. Where do the lessors stand? The lessors, after the issues with taking their planes out of India from the earlier demise of Indian airlines, have decided to play it safe. Jet Airways, much like other Indian carriers, leases aircraft from other global companies who own these aircraft. They gave Jet Airways the longest rope, waiting for their rentals to come in before they asked the airline to stop operating these aircraft. This has led to the grounding of over 40 Boeing 737 aircraft for Jet Airways, which is causing them to cancel flights left, right and centre. While many lessors have still given Jet Airways time till the end of March before they take next steps, if Jet Airways is not able to take a stance soon, they will start to lose these aircraft. With the worldwide grounding of the 737 MAX aircraft, the older 737 aircraft are back in demand, and lessors will find it hard to pass up the opportunity to deploy these aircraft again to other airlines. A Boeing 737 aircraft which is more than 5 years old still earns about $250,000 per month for a lessor, so for each leased aircraft Jet Airways has not met its obligation, the airline is on the hook for over a million dollars as per estimates. For instance, SpiceJet is looking for at least 12 of these to make up for their currently grounded 737 MAX aircraft, and lessors have already sent them proposals, given it is easy to deregister from the Jet Airways register and pass it on to the SpiceJet register while the aircraft is still in India. Assuming Jet Airways gets funds, they will find it hard to gather leased aircraft to bring it back to its earlier state if they let go now, apart from the fact that the lease cost will be much higher, given the paucity of non-MAX 737 airframes right now. Where do the Employees stand? Jet Airways’ Naresh Goyal and the employees share a special bond, and the airline has been cashing their chips over the months. The airline has not been able to pay salaries to their employees over the months, and while the airline has managed to retain a lot of them with a delayed salary schedule, the Eagles have started to circle. IndiGo, which got caught off guard with a paucity of captains powering their fleet growth earlier this year, is holding roadshows at the moment, where they are offering Jet Airways pilots back pay for the period they haven’t been paid, and equivalent designation at the airline. Even if a few switch, it opens the floodgates for Jet Airways on another frontier, which has some of the most experienced pilots in the industry, albeit on a Boeing 737, not on the Airbus A320. In the long run, if and when the airline comes back on their feet, the first set of people expect to be paid are the employees, who are working with their chin up. They are the frontline, taking all the brunt of the customers and smiling for the customers, while they are not being kept happy themselves. The driving force behind the airline has been Naresh Goyal. As one of India’s most visible aviation entrepreneurs, he had his stamp all over the airline, just like many other airlines which are personality centric. He has been pushing the envelope with all the stakeholders trying to keep the airline afloat. 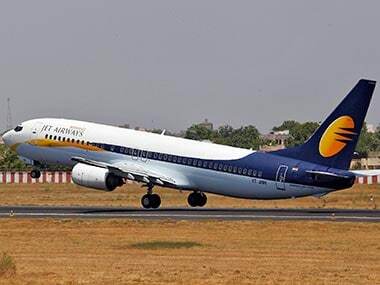 The key to the bank’s money coming back to them is strong professional management for Jet Airways, assuming the airline transits to a day when it is able to implement the Bank Led Provisional Recovery Plan. India does not have strong professional management across most of its airlines, with IndiGo and GoAir being run by foreign CEOs, and SpiceJet being run by the promoter itself. No names have yet been discussed about professional management who would come in and save the day. The international long-haul strategy of the airline is working out alright, with the airline having plugged into the Delta- Air France – KLM troika to complete the transfer of passengers from the Americas and Europe to India. In many years, this is the first time that the Boeing 777 aircraft and the Airbus 330s of the airline are being deployed for the right missions, rather than being leased out to other carriers. But if Etihad gets more say in the matter, who is to say this won’t be thrown out of the window and Jet Airways becomes a feeder airline again. For the moment, the company is in a situation where it will need a new strategy to win back the confidence of everyone, including the customers and frequent flyers. One of the trusted strategies in India is to keep fares low to keep the planes filled. Unfortunately, that won’t be the one that will make the airline return to its gloried past anytime soon. They really need a better plan for a sustained revival over the long run. 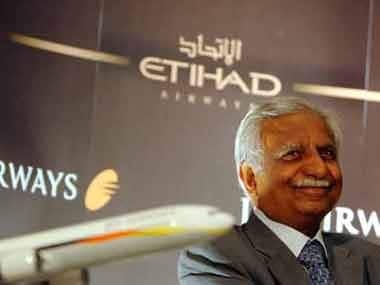 1Naresh Goyal's personal ambition holds Jet Airways back from resurrection; is slow death awaiting India's once favoured airline?